Tea Forte®, identified around the world as the exceptional tea experience, presented its new bespoke look, a significant step in enhancing its position as the luxury lifestyle tea brand. Known for its opulent approach to the world’s second most consumed beverage, the company’s new narrative includes a rebirth of a cleaner, contemporary logo, more elegant sensory package design with continued curated collection stories. 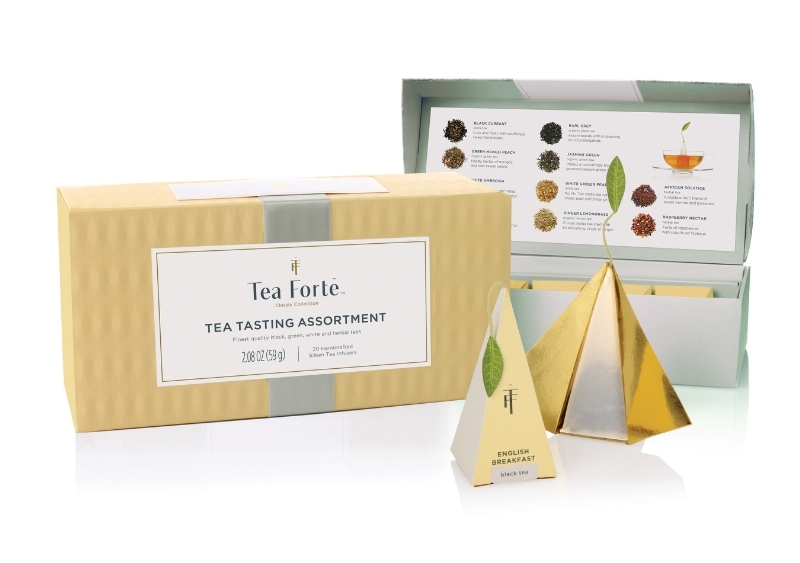 Jan Hoorntje, CEO of Tea Forte, says that the brand had already accomplished a certain status value, but methodical attention to stylized design and aiming for the finest quality has continued to redefine the staid legacy of tea to a more contemporary experience for the millennial generation who have started to turn to tea over coffee. According to a new YouGov survey, 42 percent of Americans under age 30 prefer to drink tea, with an identical 42 percent saying they prefer coffee. Further, 27 percent of millennials only drink tea. That’s a shifting difference from those over the age of 65 saying they prefer coffee. Tea Forte is the award winning global luxury tea Company with offerings enjoyed in over 35 countries where it is presented at leading hotels, restaurants, prestige resorts and high-end retailers. Renowned for its variety and unparalleled quality of hand-crafted teas, design-driven accessories, exquisite packaging and luxuriant approach, the definitive cup of tea is offered on the world’s finest tables with complex and varied blends to please the palate through its collections of loose leaf teas and elegant, handcrafted pyramid shaped infuser. Tea Forte is selected as the exclusive House Purveyor of premium teas for the James Beard Foundation. To learn more, please visit www.teaforte.com or 1.800.721.1149.